Since 1985 Ms. Rizzardi has offered expert economic consulting on over 3,000 cases, providing court testimony in approximately 400 cases primarily throughout California, in both Superior Court and District Court. 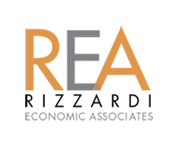 As Principal Economist at Rizzardi Economic Associates, Ms. Rizzardi provides expert analysis and testimony on personal injury, wrongful death, employment and business-related damages cases. Prior to establishing her own company in 1996, she worked for IBAR Settlement Company, Inc. beginning in 1985. While there she trained and supervised other economists and acted as Assistant Vice President from 1989 to 1993. Ms. Rizzardi left IBAR as Senior Associate Economist and Vice President in 1996. She has spoken before the Nevada Trial Lawyers Association, Fresno County Trial Lawyers Association, MCLE Class for Farmers Insurance Group and other groups. Ms. Rizzardi has participated in numerous conferences as a presenter and discussant and published in a variety of peer reviewed journals pertaining to forensic damages. Ms. Rizzardi completed her BA in Economics at Revelle College at the University of California, San Diego and her MBA with a concentration in Finance, at the Claremont Graduate University. She has also completed additional coursework at the Claremont Graduate University, Center for Politics and Economics, in a Ph.D. Economics Program. She belongs to numerous professional organizations, including the National Association of Forensic Economics, the American Academy of Economic and Financial Experts (At Large Board Member 2010-2013) and American Rehabilitation Economics Association (Internal Vice President 1999-2000). She also holds a CEA (Certified Earnings Analyst) certification from the American Rehabilitation Economics Association. Stephanie founded and runs Pillows and Plenty, a 501(c)(3), which serves underprivileged children in the Los Angeles area. In addition, she also serves on the Board of Directors of the local chapter of the National Charity League.